Have you seen this? 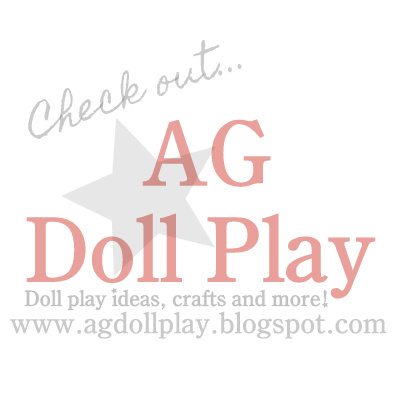 With the holidays quickly upon us it's time to start thinking about that one amazing gift for your daughter or grandchild and a dollhouse for your 18 inch dolls might just be the thing that provides it! I have looked online for ideas for doll houses for some time now, there are a ton to be found on Pinterest but not too many options to buy something that doesn't cost a fortune. If I was a little more confident with my carpentry/building skills I might try to tackle this as a project but after finding this doll house from My Girl's Dollhouse that might not be necessary! Isn't it adorable? I would love to see it in person...I love the upstairs attic area and that it has open windows throughout the house. If you click the image posted above you can see the different doll house style options that they have as well. So fun...just had to share! In the spirit of full disclosure, this blog post includes an affiliate link, which means that I may get a commission if you decide to purchase anything from the above linked company. That said, I only share and link to items that I myself am excited about or seem relevant to dolls and everything we love about dolls! Thanks for your support! I know it's so cool! Ive seen it. I am hoping my fatherinlaw can make one for my litle girl but if not this is the one i found that didnt break the bank. I love your blog!